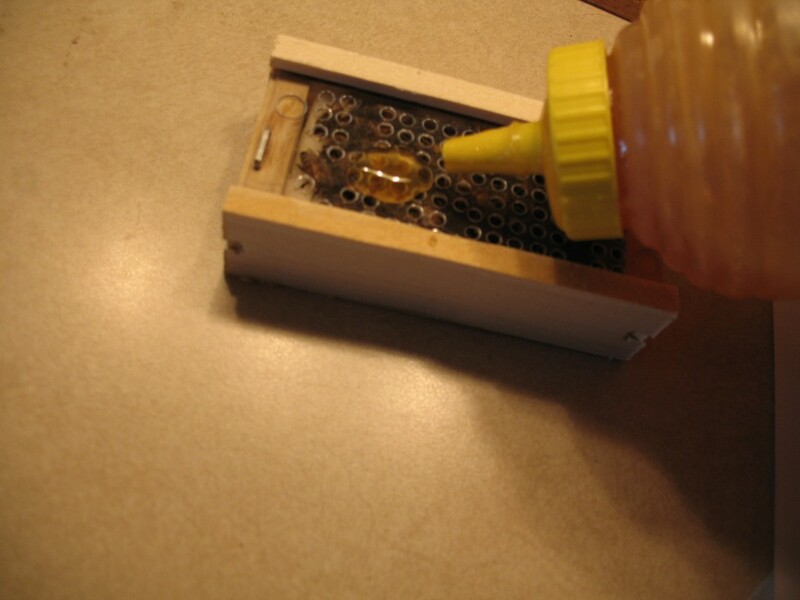 When your bees arrive give them a little honey by placing a large drop on the plastic screen near the white food that is packed in one end of the box. Repeat this every couple of days. If the bees are getting sticky you are feeding them too much. As you use the bees up give them less and less honey. After removing the staples that secure the plastic screen put a rubber band around the box lengthwise to keep the screen from moving. When the box is full of bees they can move the screen! If you would like to see what happens if you just pull the screen out go to my video page! Store your bees at room temperature. Do not put them on top of the TV or other appliances that give off heat. Do not place them in direct sunlight for any length of time. Do not keep them in a room with a no pest strip or a room that has been sprayed for roaches or other bugs. If your bees are not living long , do not hesitate to call us at 1 800 787-4669. We will do all that we can to help you and rectify the situation.